01 Do hedges help control pests and diseases in vineyards? The grapevine moth causes important losses to vineyard owners: the larvae perforate the grapes and help spread diseases. By doing so, they reduce the yield, but also increase the likeliness of grey mould (Botrytis cinerea) and acid mould (flies). For many of the more than 600 thousand private forest owners in Finland, forestry is an additional source of income. However, the income generated from harvesting smalldiameter trees during thinning is quite low and amounts to just a couple of euros per tree. Active mushroom cultivation in forests can markedly increase the earnings from forests. Walnut trees (Juglans regia) are being cultivated in large parts of Europe. They are known to be trees with a high market potential. Their nutritious nuts and good quality timber are highly valued and the market demand is correspondingly high. Southern European and EU Mediterranean countries are leaders in the European market, while the US and China are the most important global players. Commercial walnut cultivation is still rare in Flanders and almost all nuts are imported. Chestnut trees have been cultivated for centuries in Europe for their nuts and/or timber. Mountainous countries in the South are traditionally the largest producers of chestnuts in Europe. Although remaining a marginal crop, healthy chestnut industries are recently expanding over less rugged terrain. Olive leaves are fibrous with a low digestibility, especially in crude protein, and they promote very poor rumen fermentation. 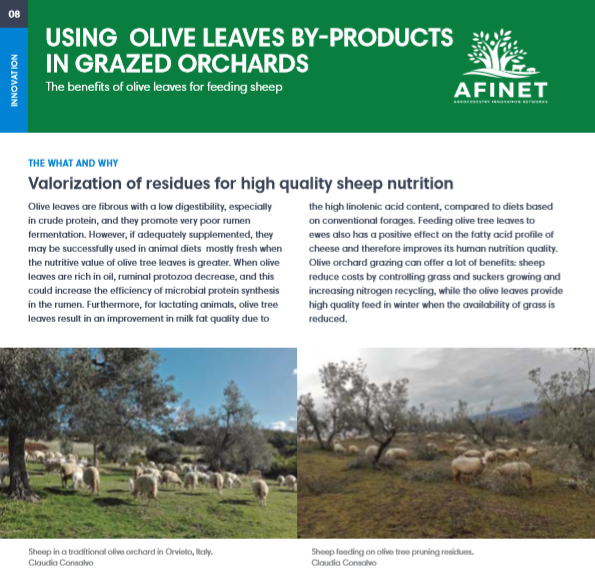 However, if adequately supplemented, they may be successfully used in animal diets mostly fresh when the nutritive value of olive tree leaves is greater. Traditional olive orchards account for a large share of the area under olives in the EU, particularly in marginal areas. 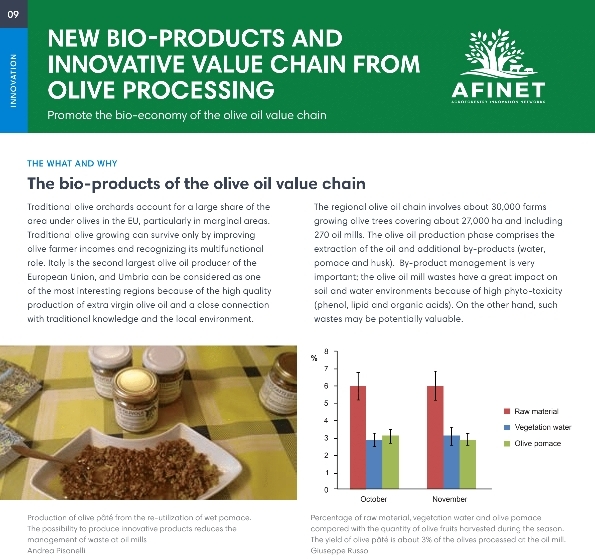 Traditional olive growing can survive only by improving olive farmer incomes and recognizing its multifunctional role. 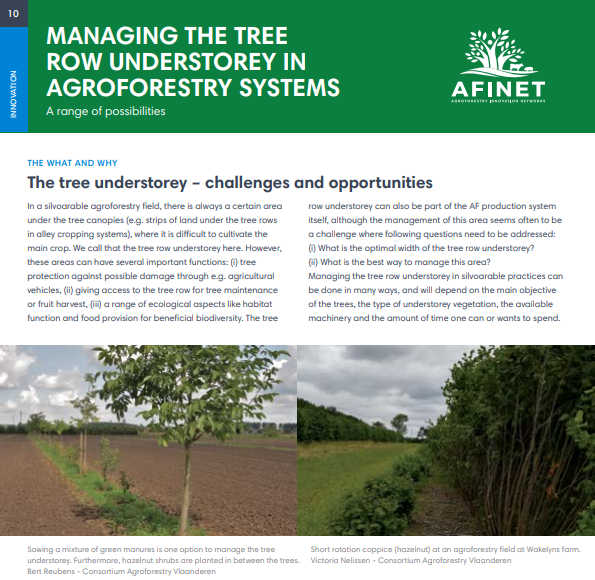 In a silvoarable agroforestry field, there is always a certain area under the tree canopies (e.g. strips of land under the tree rows in alley cropping systems), where it is difficult to cultivate the main crop. We call that the tree row understorey here. However, these areas can have several important functions: (i) tree protection against possible damage through e.g. agricultural vehicles, (ii) giving access to the tree row for tree maintenance or fruit harvest, (iii) a range of ecological aspects like habitat function and food provision for beneficial biodiversity. 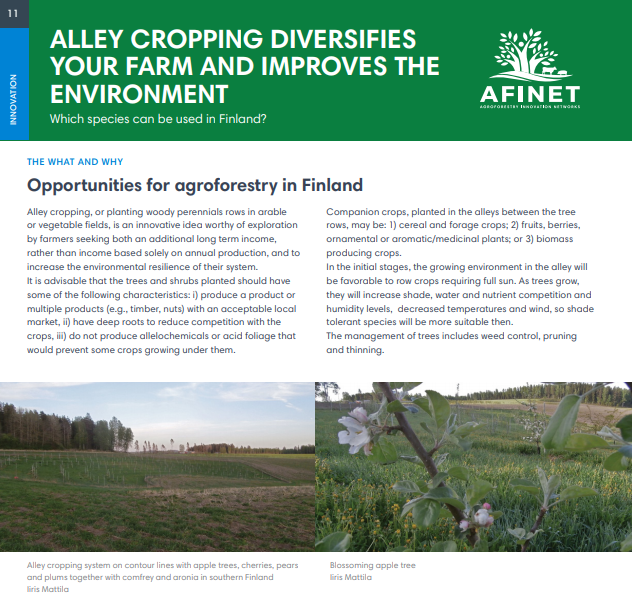 Alley cropping, or planting woody perennials rows in arable or vegetable fields, is an innovative idea worthy of exploration by farmers seeking both an additional long term income, rather than income based solely on annual production, and to increase the environmental resilience of their system. In general, browse (i.e. 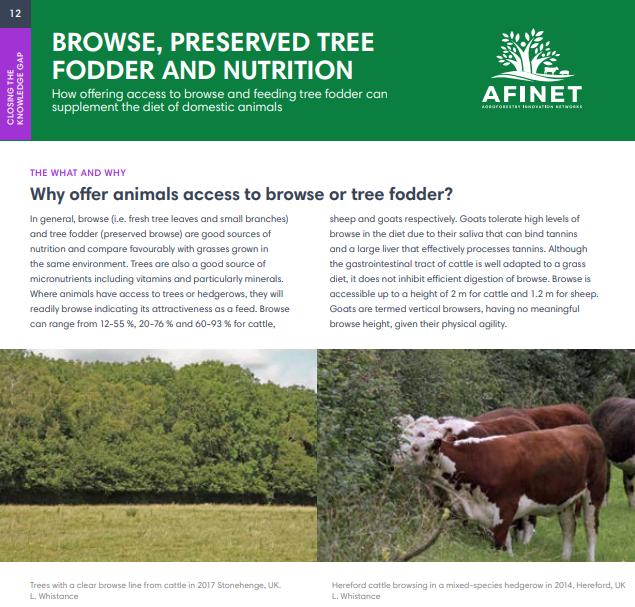 fresh tree leaves and small branches) and tree fodder (preserved browse) are good sources of nutrition and compare favourably with grasses grown in the same environment. Trees are also a good source of micronutrients including vitamins and particularly minerals. The benefits of silvopasture to domestic animals include access to shelter in the winter and shade in the summer, as well as providing scratching posts to maintain coat condition. 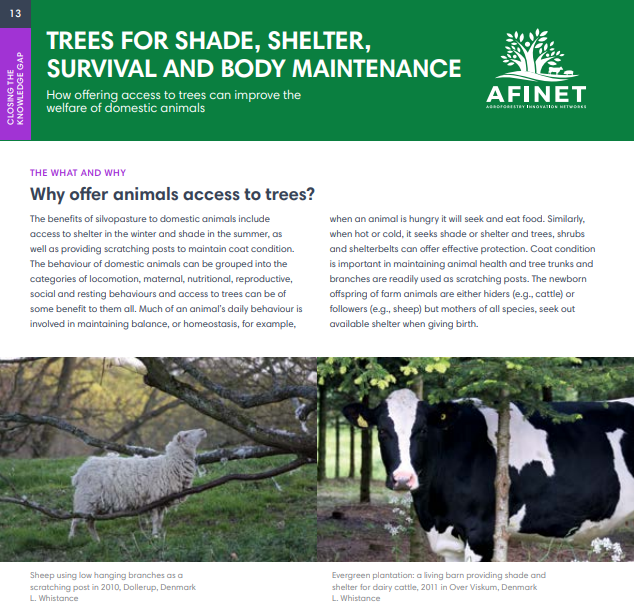 The behaviour of domestic animals can be grouped into the categories of locomotion, maternal, nutritional, reproductive, social and resting behaviours and access to trees can be of some benefit to them all. Planting trees into arable or vegetable fields means that land is taken out of annual production; depending on the design of the system, this could be up to 25% of the cropping area.